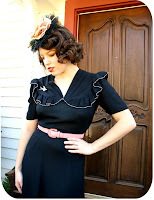 Today, I am very happy to feature a guest post from one of my personal blogging idols, Solanah of Vixen Vintage. 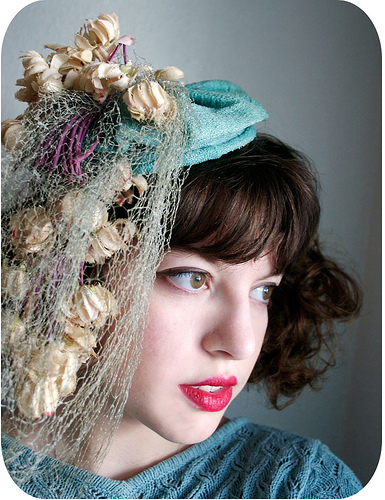 If you haven't heard of Vixen Vintage, you must check her out. Solanah's outfit posts are one of my few daily addictions. In her article for The Lingerie Addict, she talks about the 5 essential pieces of lingerie to get that perfect vintage figure. Thanks for sharing your expertise here, Solanah! Hello! My name is Solanah, I run the blog Vixen Vintage, and am delighted to be here! 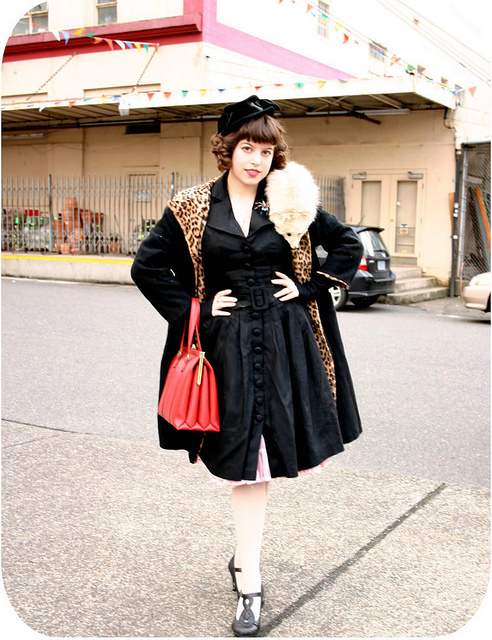 I dress in vintage clothing every day, from head to toe, and love to be authentic with my style. Like any outfit, a proper foundation is of the utmost importance to correctly filling out vintage, because even if you have some good support, it just won’t look the same unless you have the real thing underneath. Most of my lingerie and shapewear comes from vintage stores or thrift stores, so that generally means they are used, and quite often, I come across well worn items that won’t last much longer. Here’s some tips to find some great vintage lingerie that will serve you well. Bras-Bullet bras are THE most important foundation garment you can have in your vintage lingerie drawer. Many mid century garments need the bullet shape to fit properly. Plus, they make it look like you have fabulous posture. As with any bra, try them on, sizing hasn’t changed so you should be able to find your size in the inner tag, though some prefer a cup size down. Most women will need bullet bra fillers, so don’t be discouraged if the tips look a bit deflated. Next, check the elastic. Is it still elastic? Or a sad gathering of disinagrating fibers? If there is no stretch, don’t buy. Girdle-Oh the girdle. Modern shapewear’s tough, no nonsense grandma. If you’ve never experienced a true vintage girdle, go try one right now, and from then on your spanx will feel like baggy pjs. 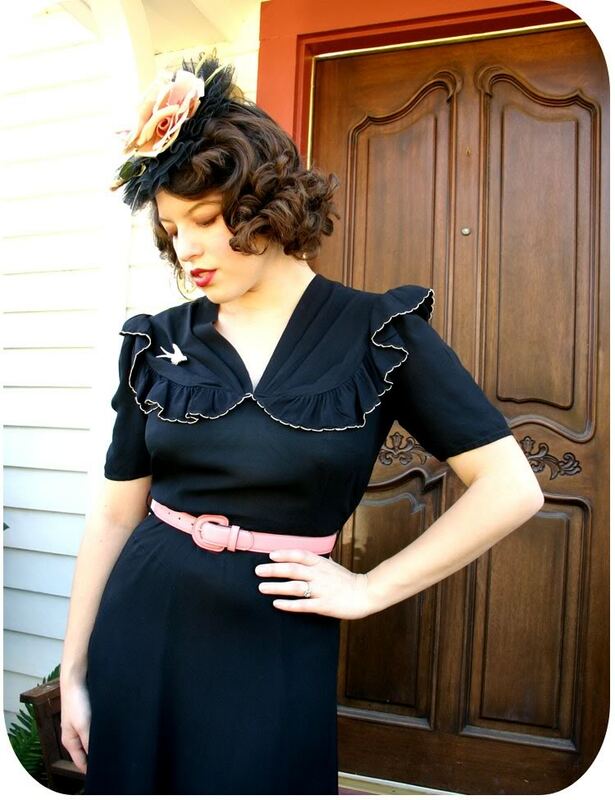 Many vintage garments need to be smooth around the mid section, and this requires a good girdle. They can zip up, lace up, or even just slide on, but you want to be sure the elasticity won’t give up on you. If there are ripples on the girdle, this means those fibers have lost their elastic, and the rest aren’t far behind. Even if it looks great, before you buy you must LISTEN to the girdle. Hold if up to your ear and stretch a portion of it. If you hear a crackling sound, pass on it, the elastic strands have had enough and are breaking apart permanently. Knickers-Ok, so while buying old underwear may sound a bit… questionable… you might be surprised at the amount of deadstock knickers out there (this means they are unused and still have the tags attached). 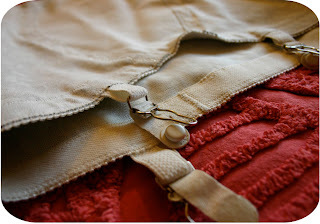 Having high waist underwear with a high waist skirt, dress, or pair of pants is very important. If you wear low rise knickers with something tight and high waitsted, you might get an unwanted line on your hips showing through the garment. Garter belt-A useful, everyday garter belt should sit at your waist, not your hips, like many “bedroom garter belts” do. Check the elastic, and see if all the garter tabs are present. Also, a garter belt should be worn UNDER your knickers. Unless it is a girdle and garter belt in one. It should be comfortable, but not too big, otherwise your stockings will pull it down throughout the day. Petticoat-A petticoat can make a huge difference in the silhouette and movement of your dress or skirt. But first you have to find the right one. 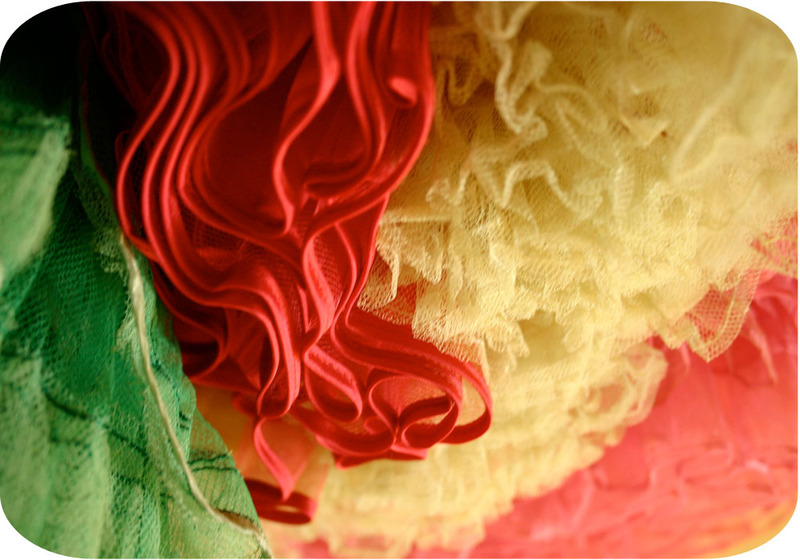 Square dance petticoats just won’t cut it, you’ll need something longer, and less full. 1950s and early 1960s skirts hit right below, or at the knee, and your petticoat should not exceed the length of the skirt. Make sure the netting is intact, and the elastic at the waist is still strong, and can sit at your waist comfortably. Credits: All photos taken and owned by Vixen Vintage. I love the look and feel of vintage lingerie. It’s so classy and romantic. I started making authentic side-button tap pants several years ago, using patterns I bought on ebay. I also made the cutest cuff-leg bloomers in satin. Bras were more of a challenge, but with practice, I was able to get the knack. This was EXTREMELY helpful and also makes it more clear why Solanah’s outfits always look so amazing! While I'm a year late to the party, I'm eager to learn — and this post was brilliant. Sound advice. Thank goodness things don't disappear on the Internet! Christina Hendrix and the rest of the beautiful Mad Men Ladies all wear authentic lingerie peices under their costume. They said it helps so much to get into character and experience more of what it's like to be a woman in the 60's. Loved your post! Who knows more about Vintage Lingerie than Vintage Vixen?? No one!! I miss my old bullet style bra from wacoal..I will check vintage and consignment shops, now..The though Never occurred to me! Thanks for this awesome article! Now I'm excited to start building my collection! I've always been afraid of buying vintage lingerie except garter belts but now I know what to look out for. Thanks for the fantastic tips.